President Obama today issued an executive order aimed at alleviating the critical shortage of lifesaving drugs that is threatening hospital care, delaying patient treatment and limiting the medicines doctors can prescribe or the anesthetics they can use to perform surgery. See also: Have a medication question? Ask the Pharmacist. The order directs the Food and Drug Administration to broaden its reporting of certain prescription drugs and to speed up regulatory reviews that can help prevent or respond to shortages, the White House announced. It also requires the FDA to work with the Department of Justice to investigate possible instances of illegal price gouging or stockpiling of medications. In recent months, several pharmaceutical giants have warned doctors not to start patients on some medicines because they can't guarantee a steady supply, and hospitals have begun rationing some vital drugs. The FDA had reports of 180 drug shortages as of July 31, a number that already surpasses the record 178 shortages reported for all of last year. "The shortage of prescription drugs drives up costs, leaves consumers vulnerable to price gouging and threatens our health and safety," Obama said. "This is a problem we can't wait to fix." The executive order bypasses Congress, where legislation to address the shortages has been debated since February. But, the president added, "I'm committed to working with Congress and industry to keep tackling this problem going forward." The ever-increasing shortages particularly affect older Americans because they undergo more surgeries and cancer treatments, doctors say. They also are more likely to have medical conditions that can make it difficult to find a suitable substitute when the drug they need is unavailable. Recent surveys by hospital and pharmacist groups tell the troubling story. A national survey by the American Hospital Association in June found that 99.5 percent of hospitals have experienced one or more drug shortages in the last six months. Nearly half of the 820 representative hospitals contacted — 44 percent — reported shortages of more than 21 drugs. Moreover, 63 percent of the hospitals reported that in some cases, patients didn't receive the recommended treatment; 10 percent said that problem occurred frequently. Because of the shortages, "we've had deaths … we've had medication errors," says Michael Cohen, a pharmacist and president at the nonprofit Institute for Safe Medication Practices in Horsham, Pa. As an example, he referred to the case this year in Alabama where 19 patients were seriously infected and nine died because a standard, premixed solution for IV feeding tubes wasn't available, so a pharmacy mixed its own and it was contaminated. Drugs now in short supply — often given by injection or intravenously to patients in the hospital — are prescribed for a wide range of medical problems including cancer, allergies, heart disease and infectious diseases. Shortages involve some anesthetics for patients having surgery and "crash cart" drugs for emergencies — like epinephrine injections used to restart the heart — and even electrolytes for patients fed intravenously. Johnson & Johnson recently warned doctors not to start cancer patients on Doxil, a widely used chemotherapy drug used to treat ovarian cancer and multiple myeloma. At the nationally known M.D. 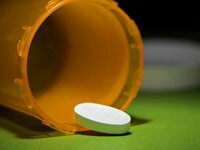 Anderson Cancer Center at Houston, the supply of the thyroid cancer drug Thyrogen (thyrotropin alfa) was so tight by mid-July that the cancer specialists began triage — giving patients the drug according to the severity of their case, says Wendy Smith, a clinical pharmacy manager there. The Thyrogen shortage, Smith says, "puts us in a new frontier where we are actually delaying [treatment] in situations where there is no drug alternative." Beth Frank, who lives in a suburb of Dallas, was diagnosed two years ago with a rare and aggressive form of thyroid cancer. In June, she was scheduled for her third radioactive iodine treatment, designed to kill any remaining, scattered cancer cells. But the 50-year-old administrative assistant has been waiting two frustrating months for the procedure — now scheduled for mid-August in a local hospital — because Thyrogen wasn't available. The drug helps thyroid cancer patients avoid the sometimes severe side effects — including depression, fatigue and pain — of hormone withdrawal. Genzyme, the manufacturer of Thyrogen, said it anticipates supply disruptions to continue into 2012. Why the shortages of these critical drugs? The FDA says the problems mainly stem from manufacturing issues, such as drug production temporarily shut down because the plant wasn't sterile. Sometimes, though, the shortages are tied to disruptions in the supply of raw materials or to increased demand for some drugs. And, the FDA says, some companies have simply stopped making older, less profitable drugs, particularly older sterile injectable drugs. When one company has a problem or discontinues a drug, it's difficult for other manufacturers to increase production quickly. The FDA recently asked manufacturers to report production problems or changes that might cause potential shortages. Remedies vary but the FDA can work with other U.S. manufacturers to ramp up their production of a drug in limited supply or search overseas for suitable companies willing to import the drug. It also can help drugmakers locate new supplies of raw material and certify them for import. The drug supply glitches, which vary from region to region and week to week, have triggered congressional interest because the FDA is limited in what it can do to solve the problem. Currently, the federal agency cannot require firms to report drug shortages, give the reason for a shortage or even provide an estimate about how long the shortage might last. Some manufacturers voluntarily report supply problems, says Cynthia Reilly, a pharmacist and a director at the American Society of Health-System Pharmacists. But, she says, a pharmacist may not know until "they open the order they just placed and it's not in there." That group backs legislation that would require manufacturers to notify the FDA of potential supply problems involving key medicines. Meanwhile, the FDA is asking health workers and patients to report shortages to the FDA's Center for Drug Evaluation and Research at drugshortages@fda.hhs.gov. Charlotte Huff is a freelance writer in Fort Worth, Texas, who reports on medical issues.